Cooking Delights: Cooking Class this Saturday! I can't believe my cooking class is practically here already. Today I was practicing and testing some recipes that we will be making on Saturday. 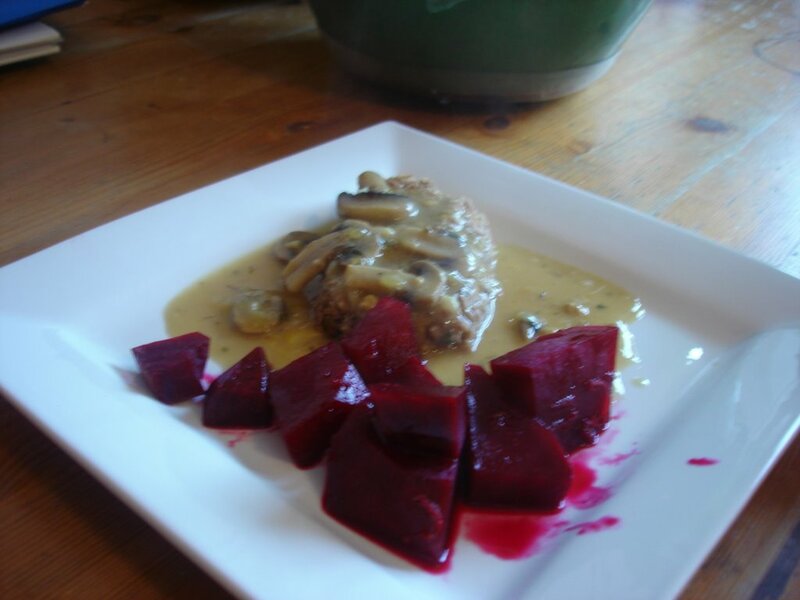 Pictured here is the lentil/cashew nut loaf drizzled with mushroom gravy and the orange glazed beets. This was the first time I made the orange glazed beets - they were delicious. There are only a couple of spaces left so if you are still interested e-mail me info@melissawest.com. Good Luck with your class I think this was a great idea for you. I am sure it will be a wonderful experience. Congrats! I know it will go well! good luck tomorrow...can't wait to hear all about it.